What Is Warrior Pose III Wand What Are Its Benefits? Stand straight in Mountain Pose with an exhalation, step your left foot back, 2 feet maximum, when you keep your body weight forward on your right foot. Keep your right toes facing forward slowly. Now feel your right toes spread and discover an even grounding through the sole of your right foot. 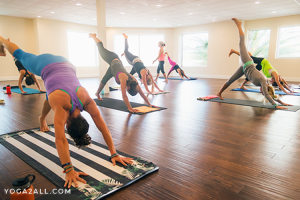 Now place your hips and shoulders perpendicular to the front of the mat. Now you need to contract your inner core muscles by drawing in the navel and waist. Send your gaze straight down as you flex forward from the hips finding a new focal point. When your torso and left leg move into a parallel position on the floor, lengthening both legs into the bottom knee. Keep your left hip level with the right hip and feel a shift into correct postural alignment. Now visualize more length moving into the left leg and spine. Now it is time to release your hands from your hips and stretch your arms directly out to the sides expanding your chest or directly forward in line with your head and neck, to increase the effect of the balance, Breathe slowly and stay at least 6-10 breaths. 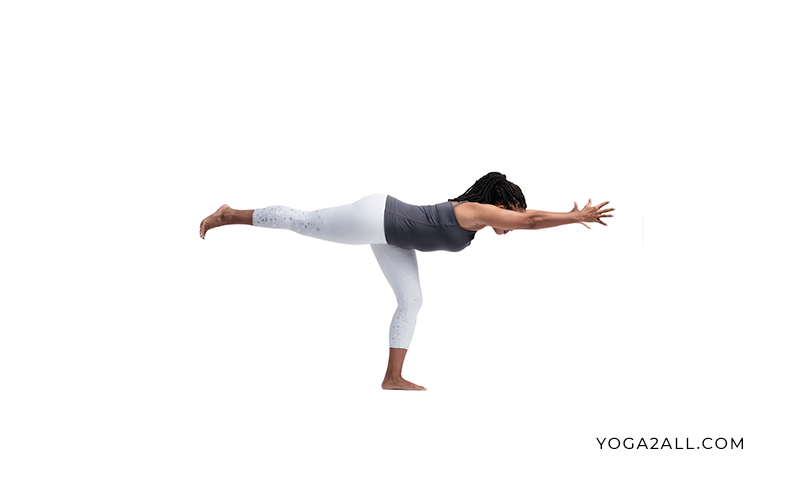 As you lift your chest just inhale to exit, and place your left foot back into Mountain Pose. Now you can try to repeat on the left side for the same length of time. Just you need to exhale as your lower arms and take a few breaths. Strengthens your shoulders, arms, thighs, legs and ankles. Stretches your groins, thighs, and ankles. Expands your chest, lungs and shoulders. Stimulates abdominal organs and digestion. Builds core strength in your torso, abdomen, spine and pelvic floor.Quiets your mind, calms your nervous system and reduces anxiety.